LONDON: 12 JUNE 2013 - ECR Minerals plc is pleased to announce the placing (the “Placing”) of 450,000,000 new ordinary shares of 0.1p each at a placing price of 0.1p each (the “Placing Shares”) to raise £450,000 before expenses. The Placing is conditional, inter alia, on the admission of the Placing Shares to AIM. Daniel Stewart & Company plc, ECR’s AIM nominated adviser and broker, acted for the Company in the Placing. “There has occurred a tremendous volume of trading in ECR shares since the placing completed last month, which is indicative of significant market interest in the Company and its ongoing renaissance. Accordingly it makes sense to have secured further funding for the Company’s activities via the placing announced today. The Company’s immediate objectives are detailed below. The combined proceeds of the Placing and the placing announced on 22 May 2013 (the “May Placing”) will be employed to meet costs incurred in pursuit of these objectives and for general corporate purposes. i) Complete due diligence on the Itogon gold-silver project in the Philippines and continue to liaise with the authorities there with regard to renewal of the exploration permit (the “EP”) pertaining to the project for a second 2 year term; the renewal should add significant value to ECR’s rights in relation to Itogon, which is an advanced exploration project located in a gold and copper mining district on the island of Luzon in the north of the Philippines. As fully described in the Company’s announcement of 29 April 2013, the Company has entered into an earn-in and joint venture agreement (the “Agreement”) with Tiger International Resources Inc. (“Tiger”), a company listed on the TSX Venture Exchange, and Tiger’s subsidiary Cordillera Tiger Gold Resources Inc. (“Cordillera Tiger”) with respect to the Itogon project, which is 100% owned by Cordillera Tiger. The Agreement gives ECR the exclusive right and option to earn a 50% interest in Cordillera Tiger and thereby in the Itogon project (the “Earn-In Option”) by obtaining, for Cordillera Tiger, a mining licence in respect of the project within 5 years of the commencement of the earn-in and by making certain staged payments to Tiger. ECR will fund all expenditure required for Cordillera Tiger to obtain a mining licence, and through Cordillera Tiger, will be the operator of the project during the earn-in; after a mining licence is obtained ECR and Tiger would fund development of the Itogon project pro rata, or the non-funding partner would be diluted. On and subject to satisfactory completion of due diligence by ECR; renewal of the EP; and receipt (if required) by Tiger of TSX Venture Exchange approval of the Agreement or the election by Tiger to proceed without such approval, ECR will commence the exercise of the Earn-in Option (the “Commencement Date”). At the Commencement Date a payment of USD 100,000 in cash would be due from ECR to Tiger. Subject to the actual date of the Commencement Date, the combined proceeds of the Placing and the May Placing will provide funding for this payment and for the commencement of work on the Itogon project with the Company as operator. ii) Evaluate area consolidation opportunities in the context of the Itogon project along with potentially complementary project opportunities elsewhere in the Asia Pacific region, and seek to attract a strategic investor. iii) Procure a purchaser or joint venture partner for the Company’s 100% owned Sierra de las Minas gold project in Argentina; the Company will seek to obtain cash or tradeable securities as part of any transaction that may be agreed. iv) Liaise with the administrators of the Company’s Australian subsidiary Mercator Gold Australia Pty Ltd (“MGA”) with a view to seeing the administration process concluded, paving the way for a transaction to take advantage of MGA’s tax losses. v) Continue to monetise the Company’s stake in THEMAC Resources Group Ltd (“THEMAC”) (TSX Venture Exchange: MAC). Further sales of THEMAC shares have been completed since 22 May 2013. As of the close of trading on the TSX Venture Exchange on 11 June 2013, ECR held approximately 18.2% of THEMAC’s issued share capital, and this holding had a value of around C$978,000 based on the mid market closing price of THEMAC shares on that date of C$0.0725. 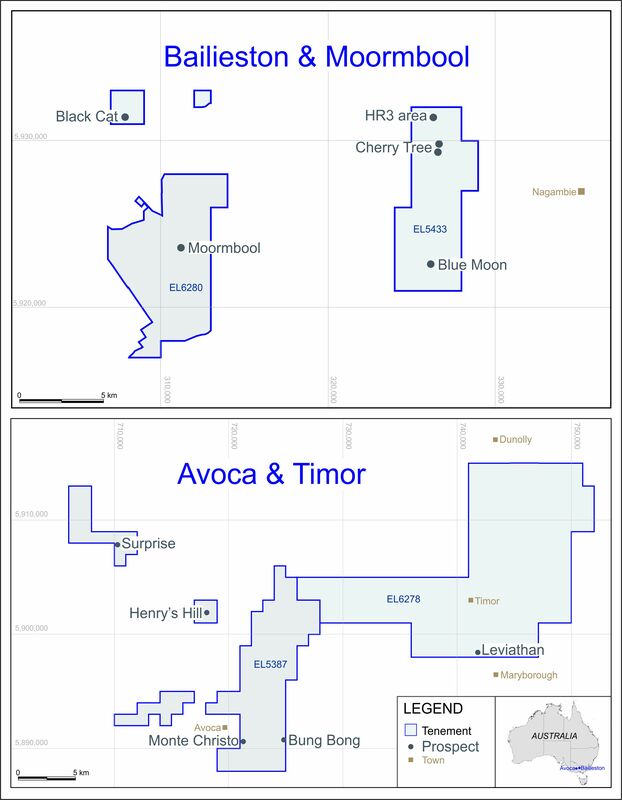 The Company also holds 10.5 million share purchase warrants of THEMAC exercisable at C$0.28 per share until 4 March 2016, giving a fully diluted interest in the share capital of THEMAC of approximately 18.3% as of the close of trading on the TSX Venture Exchange on 11 June 2013. Pursuant to this announcement, application has been made for the Placing Shares, totalling 450,000,000 new ordinary shares, to be admitted to trading on AIM. Dealings are expected to commence on 18 June 2013. Following admission, the Company’s issued ordinary share capital will consist of 2,172,759,751 ordinary shares. The new ordinary shares will rank pari passu in all respects with the ordinary shares of the Company currently traded on AIM. The total of 2,172,759,751 ordinary shares may therefore be used by shareholders in the Company as the denominator for the calculations by which they will determine if they are required to notify their interest in, or a change in their interest in, the share capital of the Company under the FCA’s Disclosure and Transparency Rules.